* Results are actual but not guaranteed. Individual results may vary. 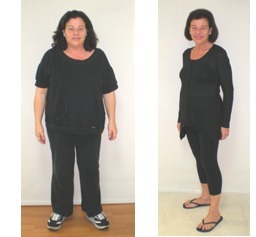 “During the process, not only have I lost the weight, but my cholesterol and sugars are at normal limits. By changing my diet, not only have I lost weight , but my husband lost 45 lbs and is now looking great and feeling great.